Great colour combo Carisa. Trying to think what else I could use a coupn book for since we dont have coupons here....coz it looks so pretty I would like to make one! Oh my gosh.. you're just gonna FORCE me to go to that site and order those stamps, aren't you??? 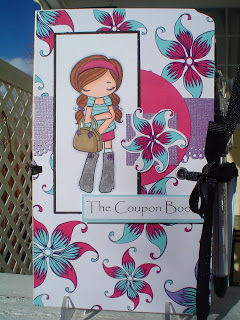 That coupon book is adorable!! Can ya email me directions? I love making those too. I really like yours the color and the image are perfect. Loving what you've done with these Anyas. the book is so pretty!!! Love the colors you chose! Wow this is awesome. That must have taken some time to make. Great job. Carisa, that is waaaay adorable! 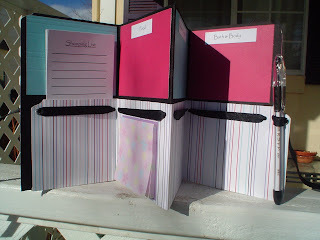 Wow...love this idea. Can you send me directions, or post a tutorial? Very cute!! And yay for the sale! neat idea, love the colours and the image, great work!